"Julia was second best part of my day, besides marrying Mike. The pictures she was able to capture are the most beautiful pictures of us that I have seen. They will live on much longer than the day. Working with Julia was not work, it was effortless. She captured moments when I didn’t even know she was around. She matched my nerves and anxiousness with calmness and grace. I wish she could photograph every event of my life." "Getting married is a very once in a lifetime special occasion. Being said, bride and groom know very little about how things should happen. Julia did an awesome job planning out each step of the photography process and guiding us through it. We were able to work with Julia to plan out the whole day seamlessly. She is extremely professional. This made us feel confident even before a single photo was taken. The day of, she took a trusted assistant to shoot the guys and girls separately that morning. We did not do a first look, so capturing my face as my beautiful bride burst through the beer hall doors to walk towards me was pretty important! In fact, her photos are so perfect I have a hard time describing them. They seem to radiate the joy, nervousness, and excitement I felt that day. After really nailing the ceremony photos, we took formal-ish photos with our family. She orchestrated this perfectly and kept us on time for our introductions. After introductions, we sat down to eat and the camera kept on lovin' us. From touching and funny speeches, to funky fun get-downs, she was able to take the photos that represented us and our guests so well. A lot of the photos we saw from other weddings seem posed, with a forced candidness - there is absolutely none of this in Julia's work. Don't believe me? Look for yourself." "Julia is the best! Working with her was such a joy. She would take the time to get to know us as individuals and as a couple. She was personable, engaging, and enjoyable. She brought fun to our engagement session and made me and my then fiancé look like naturals in front of the camera - and trust me, we are far from that! When it came time for our wedding, she captured all the right moments - moments that go by so fast, but now last forever because of her work! People say a picture is worth a thousand words, but with Julia, each picture was truly priceless." "While planning our wedding, our top priority was an amazing photographer, and Julia was really our first and only choice. So much that, when life took her on a move across the country, we felt we had no other option than to fly her back to capture our day! Looking back, we couldn’t have made a better decision and all of our photography needs will forever revolve around when she will be back in town. Her attitude, professionalism and photography style are unsurpassed and she absolutely captured our day perfectly from the big moments down to the tiniest of details. She made our greatest day into my most favorite memories and is simply a true and talented artist. Thank you Julia!" "We hired Julia for an engagement photo shoot and have already decided to bring her back to shoot our wedding. Julia lavished time and attention on both us and our dogs (whom we insisted be prominently featured in our shots). Her time and effort paid off. 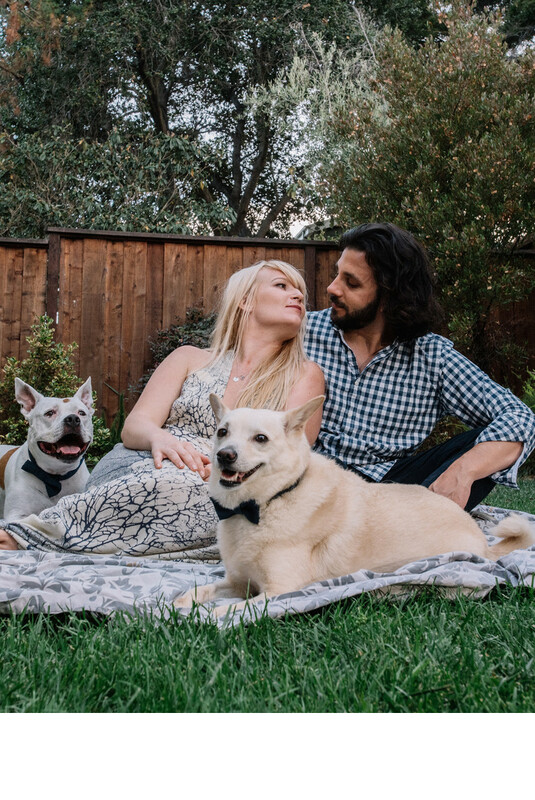 Not only did she get some great photos of my fiance and I, but she also miraculously managed to get great photos of both of our dogs at once. In the lead up to our shoot, Julia was wonderfully communicative as she worked with me to scout the perfect location for some of the most important photos of our lives. When the day of our shoot came, she was able to quickly lead us to some of the must beautiful spots in Alameda and get the perfect photos in the perfect lighting. After the shoot, as we reviewed the photos, Julia was a thoughtful collaborator as we worked together to pick out photos for our save the dates and wedding website. I could not more highly recommend Julia as a photographer." "Julia is incredible. She's a true artist who is able to pause time in her photographs; in our pictures, the little details, emotions, and memories are palpable. She's professional and friendly and also has a gift for wrangling difficult family members into group shots. My husband pointed out that since she is a very accomplished concert photographer, she's used to having her subjects be jumping up and down in the worst possible lighting, yet still getting a beautiful picture. 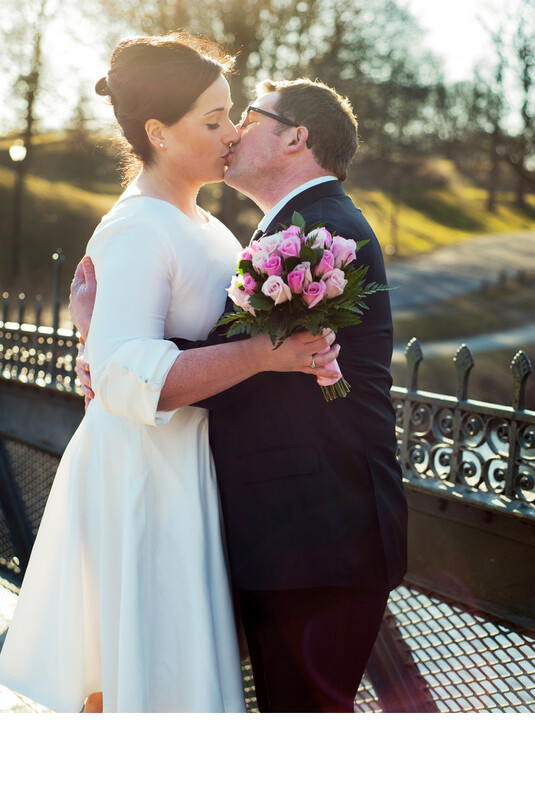 The photos from our wedding day are something I look at and am truly in awe of. 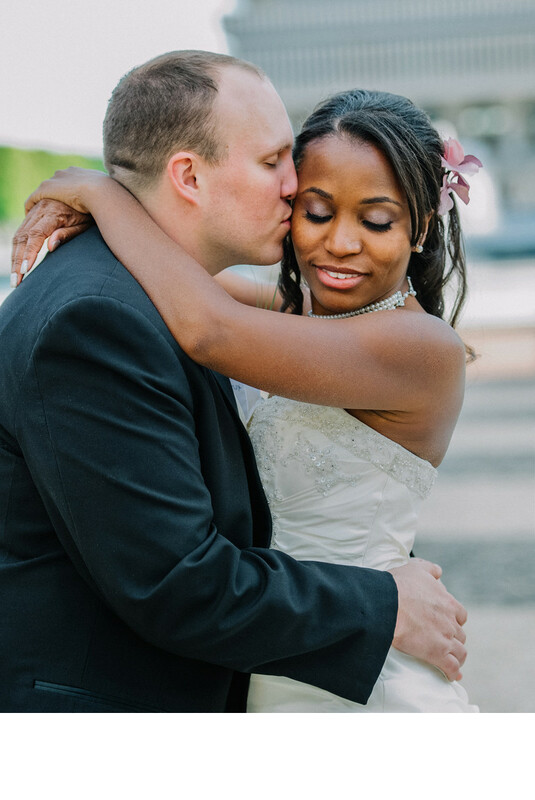 In choosing a photographer, we kept looking for examples of the 'no do-over moments' like the couple's first kiss. Julia was able to capture our first kiss on film in a piece of art that is more than just a picture, it's a moment in our lives that she was able to freeze for us forever." 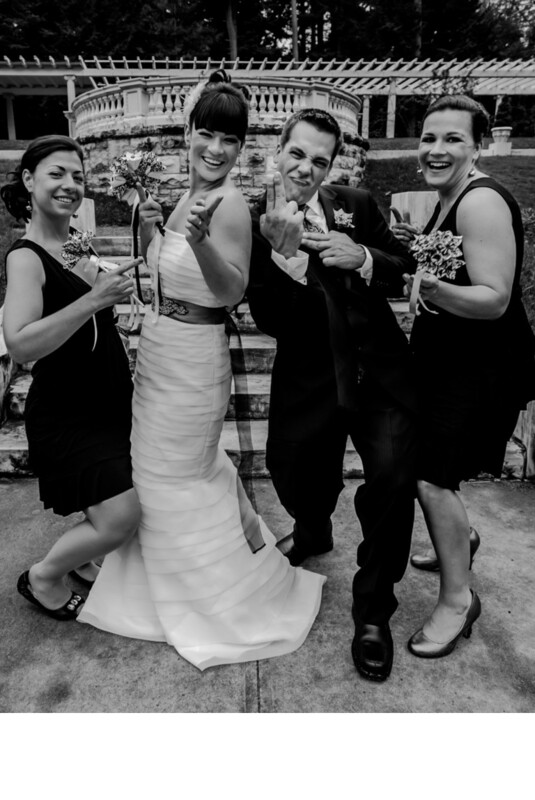 "Julia photographed my wedding and the pictures are unbelievable. 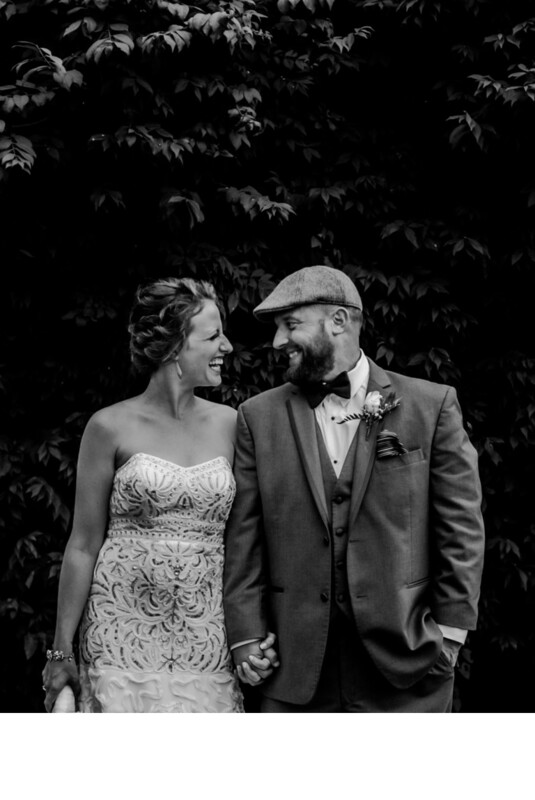 Julia was extremely thorough with the whole process, contacting us prior to the event, asking specific details about things we hadn’t even thought about, and making sure we were completely confident with how the photography aspect of our wedding was going to work. 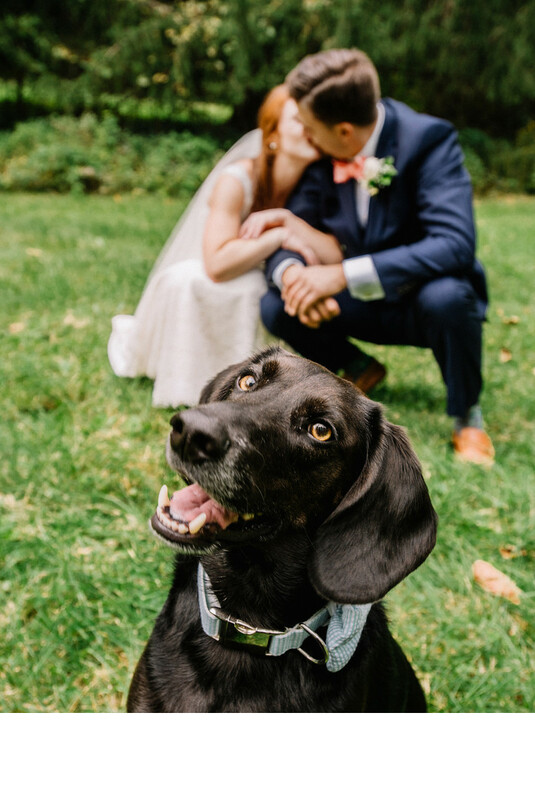 It was important to us to have our dog in our wedding photos, although this is not an easy task for a photographer! Julia managed to capture the most amazing shots with our unruly canine, who was hyped up from all of the excitement. Julia wasn’t hesitant at all when we mentioned we wanted photos with our fur baby – she was actually quite excited about it! She was extremely professional and made sure to catch all of the highlights, as well as the in between moments, of our wedding. Julia kept in contact with us after the event, letting us know when the photos would be ready and how the process would work afterwards. She also took care of making our wedding album – a huge task that I was dreading but that Julia made painless. Looking through our beautiful wedding album brings me back to this special day and truly couldn’t have asked for more in a photographer. Every step of the way it felt like she was going above and beyond for us. I highly recommend Julia – she’s the best!" "As important as the beautiful photos we received from Julia are (and I don't want to diminish the value of that, they are SO important and will be cherished for a lifetime), I'd really like to highlight the fantastic overall experience we had working with Julia. Our wedding was very intimate, just 24 people, and Julia's demeanor, finesse, kindness, guidance and professionalism were so appreciated by our small group. She knew when to step in and direct us, but also captured many of our special moments without us even knowing she was in the periphery taking photos. We were able to be swept up in the moment and enjoy it, and still have the special memories she captured. Looking back, I fear, had I chosen another photographer, it might have felt like an outsider infiltrating our purposefully close-knit celebration. But she fit in wonderfully, and delivered amazing results. There are PLENTY of things that can cause stress on a wedding day, but working with Julia was quite the opposite. 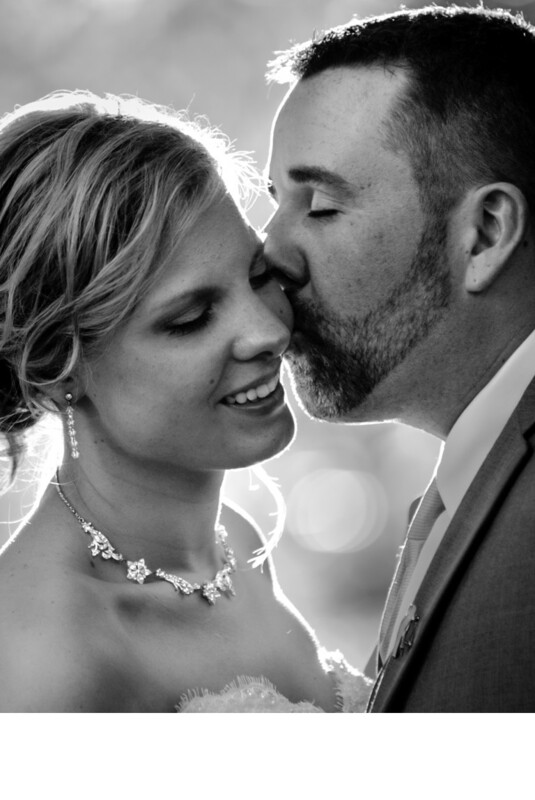 From initial contact, to the wedding day, to the quick delivery of our photos, the entire process was a pleasure, and I couldn't recommend her more highly." "With so many difficult decisions to be made within the wedding planning process we are SO thankful that we chose Julia Zave to be our photographer! I'm not the most decisive person in the world (understatement) and she walked me through the process of selecting specific family photos without making me feel at all dumb. The communication was excellent. Julia also shot our engagement photos and she turned a rainy day in Albany, NY into beautiful photographs we will cherish for a lifetime. Our wedding day went seamlessly from hair & make-up in the morning to the end of the party. We absolutely loved the presentation of our pictures on the thumb drive in a gorgeous case with our wedding day pictures on the front and back covers,PLUS the amazing blog to easily share with friends and family. 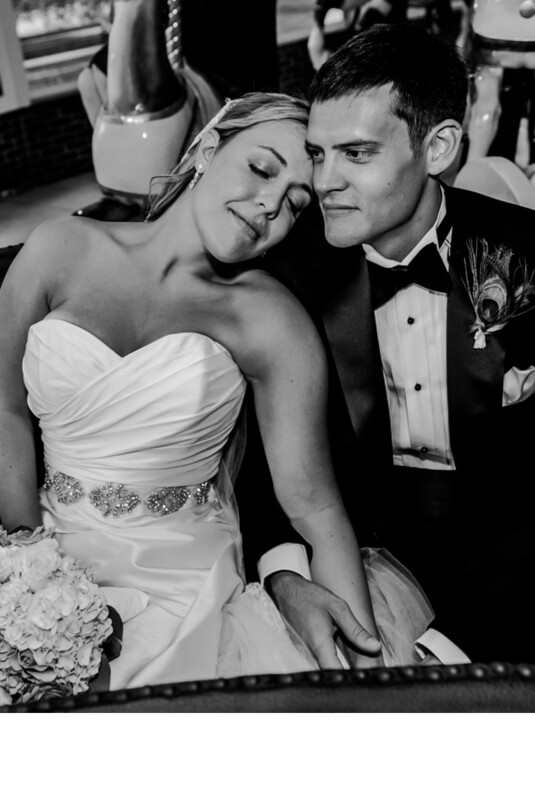 Julia is part of what made our wedding day one of the best days of our lives."